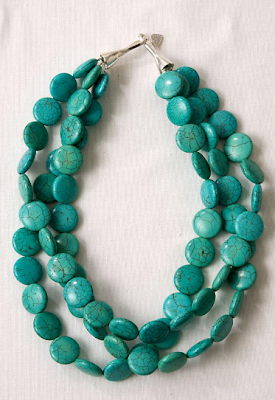 While I admit that I love the latest trend of huge statement necklaces, underneath it all, I am more of a sucker for earrings. On a normal day, you will find me sporting faux-diamond studs of different sizes. They provide big bang for their buck -- you can look instantly more put together whether you are in church attire or a t-shirt at the gym. I wear them 24/7, and so when I happen to lose one here or there, a run to my local Kohl's provides a quick replacement. I am much more careful with my bigger and flashier earrings, though, and I just can't turn down a new pair. Handcrafted ones are my favorite, especially ones that dangle and stand out as something special. I am beyond excited right now, because I have two new pairs like that to share with you from two very different places. 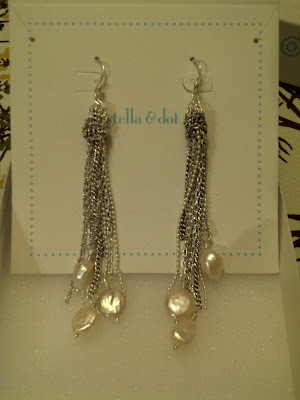 but decided that this set of earrings was more in my budget range and would match more of my wardrobe, instead. They are dangly, sparkly and sophisticated all at the same time. Love! 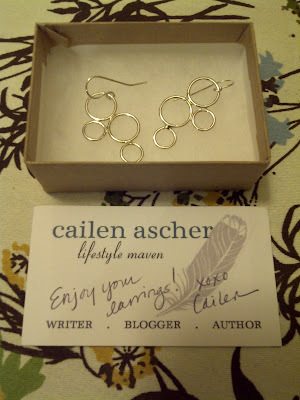 What more of a delight, then, to then also win a giveaway that week for earrings on my bloggy friend Cailen's blog Lifestyle Maven! These handcrafted gems came in the mail the same day as my S&D order, and I can't get over how cute they are. They are petite enough to be professional and trendy at the same time. 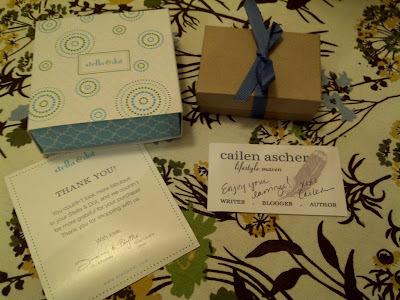 Thanks Cailen and Spiral Style! So I have a soft spot for earrings. What are your go-to accessories? PS. Don't you love the retro tablecloth above? I grabbed it on deep-discount from Target on a back end-cap. I thought it was perfect for the early spring weather outside!